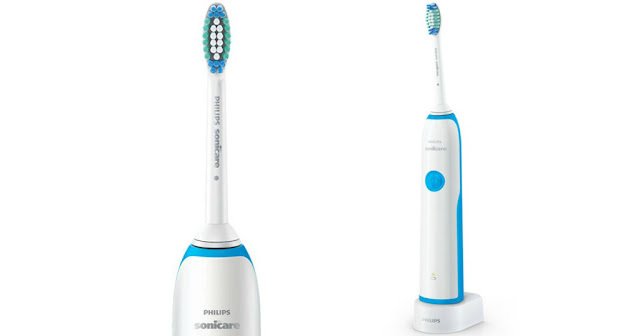 For a limited time only, Amazon is offering up a coupon to save $10 on select Philips Sonicare Essence+ Toothbrushes. You can score this Philips Sonicare Essence+ Rechargeable Electric Toothbrush in blue for just $19.95 shipped (Retail $39.99) when you clip the $10 coupon! Note that this item is currently out of stock but you can order now to take advantage of the coupon and it will ship when it becomes available. This ergonomic toothbrush removes 3x more plaque than a manual toothbrush and features a 2-minute timer and dynamic fluid action to clean between teeth and along the gumline. Plus, it fits all Philips Sonicare snap-on brush heads (except e-Series brush heads).